This knockdown stand fits the 45 gallon JBJ Rimless aquarium. Features double doors and space to store your chiller and other fish tank accessories. This stand is 36" tall. Most nano tank stands are only 24" to 30" tall. 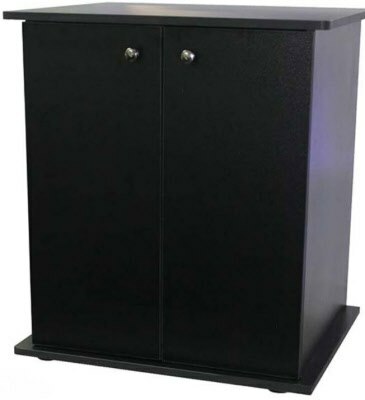 A 36" tall stand is ideal for both viewing and maintenance. 30 Gallon Rimless! Beautiful all-glass aquarium.